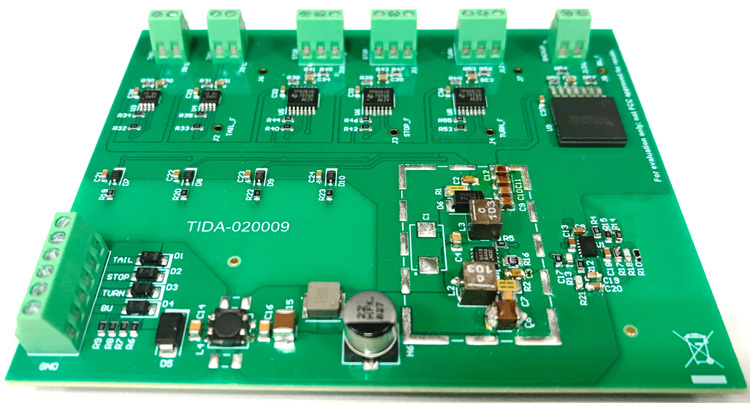 This reference design details a solution for driving LEDs in an automotive rear-light application such as a rear combination lamp (RCL). It features linear LED drivers for different rear light light functions and the LED drivers are powered by a single ended primary inductance converter (SEPIC) LED power supply. The buck-boost SEPIC LED power supply enables operation through varying battery voltage including cold crank and the design optimizes solution size and efficiency while meeting CISPR 25 conducted and radiated emissions requirements.